Ongk Kroo Master Amulet of a special release second edition Bonus Set of amulets, created and empowered by Thailands Five Greatest Masters of Metta Mahaniyom Maha Sanaeh. This amulet is embedded with immense attraction and riches power, with 20 Takrut Maha Sanaeh spells inserted and Yant Look Om on rear face. Empowered by 5 of the Current Day Greatest Master Guru Monks of the Maha Sanaeh and Metta type magic. 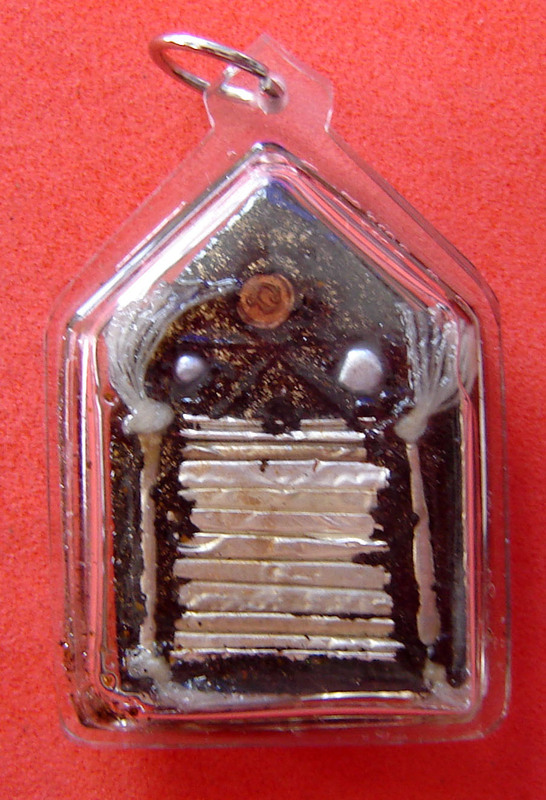 This Special 5 Masters Edition was made as a single and first Edition ever made of these amulets, but after immense demand from the Devotees, the masters agreed to increase the number of amulets by releasing a second Bonus edition. 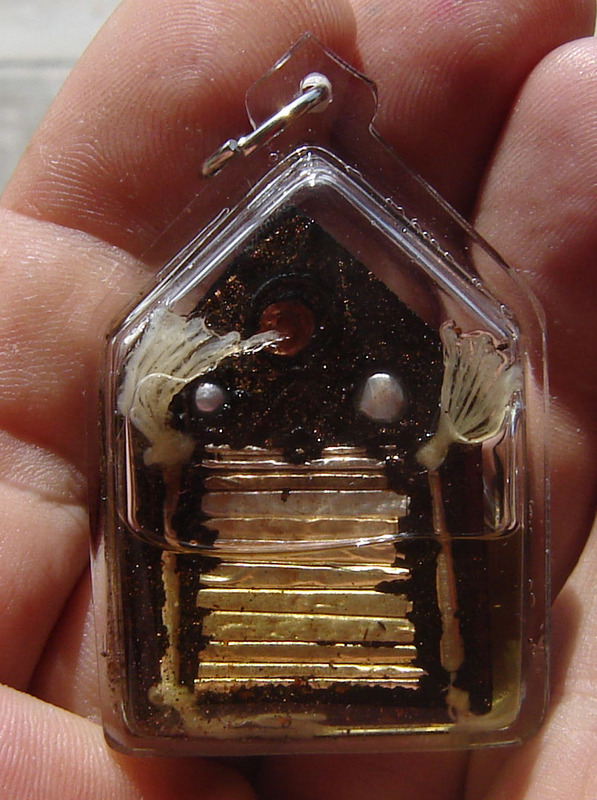 These amulets are the hit of the decade, which have the Incantations and Jhanic Empowerments of My personal Top Five Chosen Masters of Choke Lap, Metta Mahaniyom, and Maha Sanaeh type amulets. Destined to become all time classics and most certainly Essential Rarities which will become immensely rare in future years, due to the unlikeliness of any Devotee wishing to part with his prized amulet. Their power of Maha Sanaeh goes unquestioned. 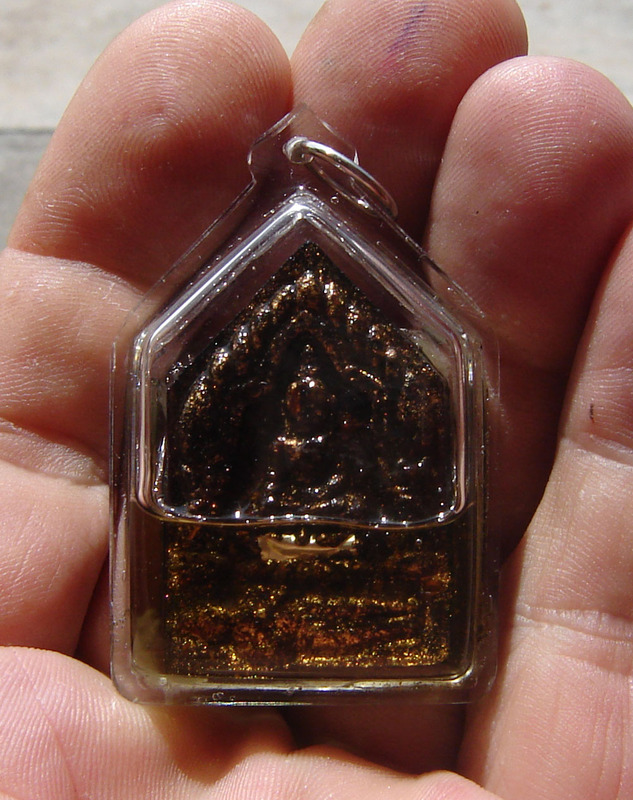 If ever there was a powerful line of Maha Sanaeh Khun Phaen Kumarn amulets, this is it..
Khun Phaen Prai Kumarn 3 Kumarn Tong (Ongk Kroo) – Pong Prai Maha Sanaeh in Metta Oil – 'Run 2' – Yant Look Om, 20 silver Takruts, 2 real pearls – blessed by 5 Top Masters of Maha Sanaeh!